This week, Disney launched a new global #DreamBigPrincess video series that puts the next generation of female storytellers behind the camera to tell the stories of inspirational role models across technology, entertainment, medicine, law, sports, arts, science, fashion and politics. 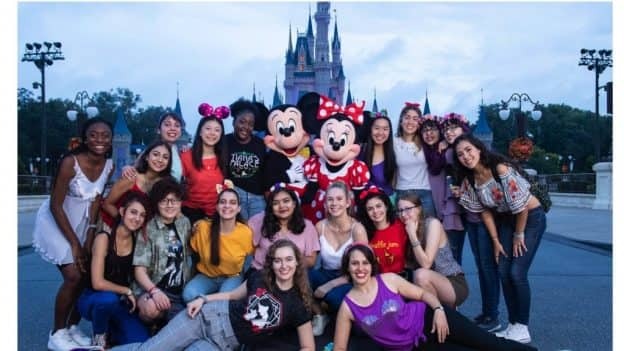 A group of 21 talented young women from different corners of the globe captured the stories of these female trailblazers in videos that will be shared across Disney’s media platforms as part of a campaign to unlock up to a $1 million donation to Girl Up, an initiative of the UN Foundation. Following the launch of the video series, the young women from the UN Foundation’s Girl Up initiative, who produced and directed Disney’s new #DreamBigPrincess global video series, joined us at Walt Disney World to celebrate International Day of the Girl. Also, in celebration of the #DreamBigPrincess video series and International Day of the Girl, Disney Parks guests around the world dressed in outfits inspired by their favorite female Disney characters. Check out some favorites and visit our original #DreamBigPrincess story to learn more. And until November 20, 2018, for each like or share of a public video or photo with #DreamBigPrincess on Facebook, Instagram or Twitter, Disney Worldwide Services will donate US $1 to Girl Up, the United Nations Foundation’s program supporting girls’ leadership and empowerment (minimum donation: $500,000/maximum donation: $1 million). For more information about Girl Up, go to girlup.org. We also kicked off a new “All in the Details” series on the Disney Parks Blog this week featuring our favorite spooky attraction at Disney Parks – the Haunted Mansion at Magic Kingdom Park. In the first video, Imagineers Steve Vagnini, Stacy Shoff and Diana Brost point out some of the “happy hints” guests can spot in the Haunted Mansion’s cemetery queue that give a nod to the attraction’s larger storyline. The Walt Disney Company Donates $1 Million in Humanitarian Aid to Support Communities Impacted by Hurricane Michael – Today The Walt Disney Company announced a $1 million contribution to aid in relief efforts across Florida’s Gulf Coast region and other areas impacted by Hurricane Michael. The donation will support disaster response and recovery efforts through the Florida Disaster Fund. Salt & Straw Now Open in the Downtown Disney District at the Disneyland Resort – Salt & Straw is now open in the Downtown Disney District at the Disneyland Resort! This scoop shop is the first in Orange County for Salt & Straw, a Portland-based, family-run ice cream company known for its “taste-provoking” flavors. Sneak A Peek At This Year’s Ultimate Disney Christmastime Package – Are you searching for a magical way to celebrate the holiday season this year? How about exclusive access to attractions, holiday experiences, a special dining opportunity, and more? #DisneyFamilia: Sabores from our Culture at Epcot! – Our video series, celebrating Hispanic Heritage Month, concludes today with the sabores that come to Walt Disney World Resort from Chef Daniel Contreras. Happy Hauntings for Little Guests During Halloween Time at the Disneyland Resort – It’s Halloween Time at the Disneyland Resort and that means spook-tacular surprises at every turn! Even our littlest guests can enjoy the season with food, characters and attractions to experience. Here are a few ways families with younger children can enjoy the Disneyland Resort! 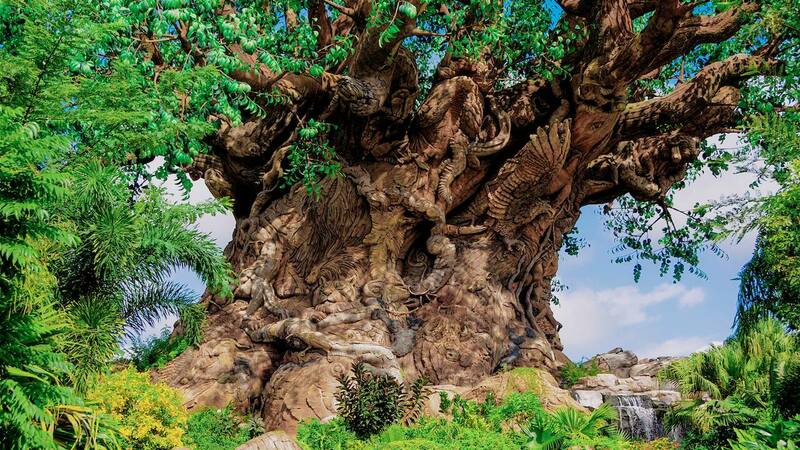 Go Wild this Fall with Magic Shots at Disney’s Animal Kingdom – If you’re looking for photo opportunities at Walt Disney World Resort that celebrate this time of year, Disney PhotoPass Service has you covered! Looking Ahead: City Works Eatery & Pour House Will Open at Disney Springs in 2019 – With so many new additions to Disney Springs recently – Wine Bar George, Terralina Crafted Italian, 4 Rivers Cantina Barbacoa Food Truck and Chicken Guy!, to name just a few – you might be surprised to learn that we’re still announcing new locations.